Mark was a River Rat in Vietnam from 1969-1970. He shared life & death situations with men who he considered his extended family only to drift away from them once they returned home. The book was written to give the forgotten River Rats a voice. 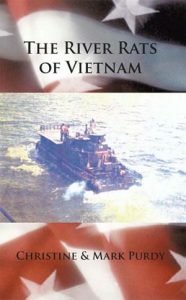 They played such an important role during the entire US involvement in Vietnam. We hope this book gives not only the returning Rats some peace, but also the loved ones of those who didn’t.